Publicis Groupe expects to return to "more satisfactory levels of growth" in 2015 as it reports a strong end to 2014. 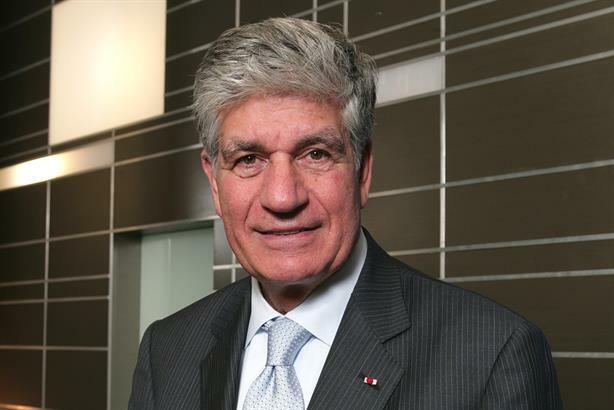 Maurice Levy: "2015 will be the year we return to more satisfactory levels of growth"
Organic sales in Q4 grew 3.2 per cent for the French advertising and PR giant on revenue of €2.15bn (£1.6bn or $2.4 billion). The company cited strong growth of 10.5 per cent in emerging markets including Brazil (+7 per cent), Russia (+8.5 per cent), India (over 30 per cent) and Greater China (+8.4 per cent). Q4 organic sales in Europe dipped by one per cent, with France and the UK reporting falls of 1.2 per cent and 7.4 per cent respectively, while the US posted growth of 2.8 per cent. Organic sales growth for the year finished up two per cent to €7.26bn (£5.39bn or $8.2 billion), growth the company described as "better than expected". "This weak level of growth was mainly due to poor performance in Europe, temporary problems that affected Razorfish in the US and in the UK, and a slight tailing off of performance at MSLGroup," the firm stated. Operating margin across the year improved from €1.12bn (£0.83bn) to €1.18bn (£0.88bn) for the company. Last year was an eventful one for Publicis, with its $3.7bn (£2.3bn) acquisition of Sapient, the marketing, commerce and consulting company, announced in November, months after its failed merger with rival Omnicom. Publicist said the Sapient deal, which was concluded on 6 February, would "ultimately transform" the company. "This is also the biggest and most strategic acquisition ever made in this sector. In an environment characterised by an ever-increasing degree of convergence, clients need a partner with a service offering well geared to the digital world in order to help them develop as power shifts to a new breed of deeply changed, connected consumers." Maurice Lévy, chairman and CEO of Publicis Groupe, said: "Publicis Groupe will have had an eventful year in 2014, ending on the most promising of notes with the agreement on the Sapient acquisition. "While organic growth did not live up to our expectations, it proved slightly better than we announced, shored up by stronger fourth-quarter growth of +3.2 per cent. "Our digital activities, which accounted for approximately 42 per cent of our total revenue at year-end, continue to fuel this growth as analogue activities continue to decline. Likewise with our business in the high-growth markets, despite the general slowing of the emerging economies. "In this context, the good performance of all our indicators underscores the efficiency of our business model, in particular our 16.4 per cent margin, the 4.7 per cent increase in headline net income, and our vastly improved cash-positive situation (close to one billion euro). "These achievements confirm the merits of our strategy now largely focused on our development in digital." Regarding the current year, he said: "2015 will also be the year we return to more satisfactory levels of growth, gradually at first, with a more marked pick-up in the second half-year, before reaching our full capacity in 2016 as Publicis.Sapient, the most comprehensive platform of its kind which will include SapientNitro, Sapient Consulting, Razorfish Global and DigitasLBi, materialises." Last month saw the formal merger of two Publicis PR companies, Capital MSL and Communications Networking Consulting (CNC), creating a new entity called CNC.